Store management play a strategic role in the supply chain of an organization. In the current and highly competitive business environment coupled with economic constraints, every organization is encouraged to adopt measures that will contribute to minimizing the level of investment in materials stock for realizing its corporate objectives. help their organizations improve on their capacity, schedule production and manage inventory better. Store managers, Store supervisors, purchasing officers, Stock valuation and verification officers Project Managers, Accountants and Auditors. * familiarize themselves with the basic precepts of store keeping and inventory management. * appreciate the concept and effectiveness of integrated approach to material management. Wale Akinwotu - HND (Purchasing & Supply) FNIPS. 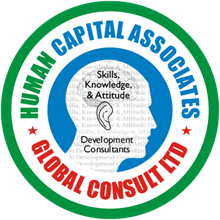 Managing Consultant Ola-Olu Management Consultancy Group. Mr. Akinwotu was formerly the Head, Stores and Supply University of Lagos Teaching Hospital (LUTH). He would lead others to bring their experiences to bear on this program. You've successfully shared Workshop on Management and Control of Stores Operations. An error occurred while sharing Workshop on Management and Control of Stores Operations. Please try again.